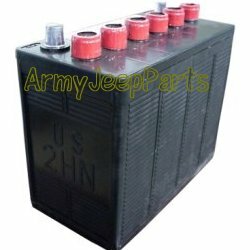 2HN Battery, mil spec. fresh production with full warranty. These batteries come dry charged so will need to wet up when received. $20.00 core charge. 2HN Battery, mil spec. late contract. These batteries come dry charged so will need to wet up when received. Limited supply.